People always ask, "What is the most beautiful place you have seen? Where should I go with one week of vacation?" The answer, Krabi, Thailand. At midnight, on a deserted beach, I would strip off my clothes, jump in the warm water and lay upon my back, my ears submerged in water creating a nearly perfect silence around me as I gazed up at the starry sky and the sheer vertical cliffs rising above me. Thought vaporizes, a deep relaxation come into being, it feels as though one is back in the womb, no care, no worry, only the beauty of nature and being. 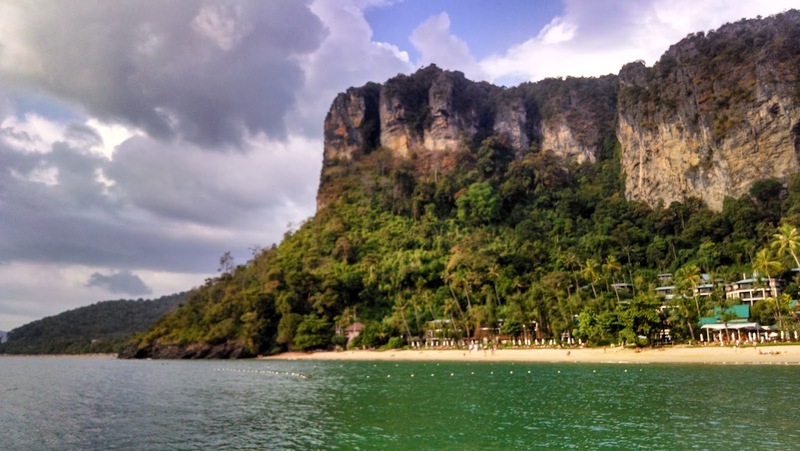 All I can say is if you get the urge to travel and see a beautiful, stunning, gorgeous, take your breath away tropical area, definitely book a trip to Krabi. Note on the above video: A moment of inspiration during a gorgeous sunset in Thailand. My sanity and eccentricity of making + posting such videos was recently called into question, and I was interpreted as "narcissistic/self involved," by someone who had never met me. If such a video elicits a positive emotional change in even one of you out there, it's a price worth paying a hundred times over. Like the sun behind me, if you have warmth and light to give the world, isn't it your duty to do so before your own being sets? 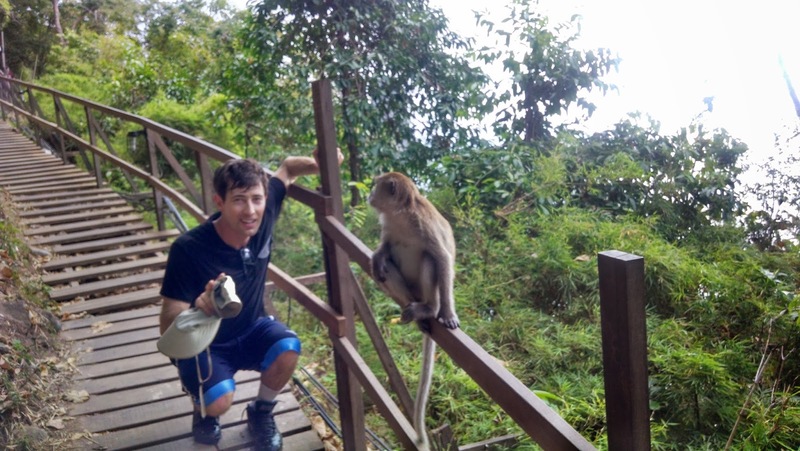 I'm glad you got to see Railey and, hopefully, Phra Nang beaches. They absolutely blew my mind too--so much so that I had a girlfriend come over from the States and took her there too. But it was snorkeling with the fishes at Ko Phi Phi that gave her her mystical experience. :) I've recently been swimming and such on the islands off El Nido of the island of Palawan in the Philippines. 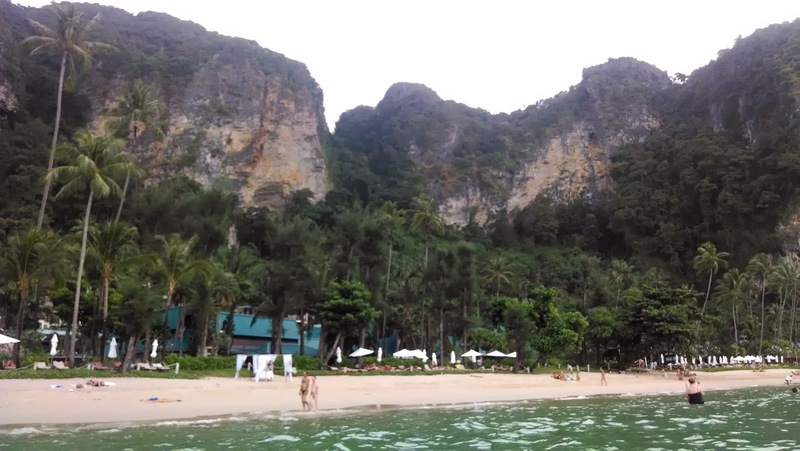 Hard as it is to believe, they up the ante on the Ao Nang sites. Then, on the island of Caron, halfway up a hill on a cove of the sea I saw what I consider the most beautiful sight of my life. So the wonders just don't stop in SE Asia. I love your exuberance, Richard. Forgive those who don't get it. They haven't seen it and don't understand the reaction, don't know the bliss. Love this quote Paul :) Thanks for sharing! I can't help it on more statement, because I relate to the problem. Here's a paraphrase from Nietzsche addressing the difference between a concept and experience. "You know these things as thoughts, but your thoughts are not your experiences, they are an echo and after-effect of experiences, as when your room trembles when a carriage goes past. I however am sitting in the carriage, and often I am the carriage itself."